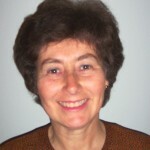 Susan M. Tarlo M.B., B.S. 1988 N. LeRoy Lapp Lecturer: The importance of anti-inflammatory drugs in the treatment of asthma. in Advances in Internal Medicine Conference, West Virginia University School of Medicine. 2006. Arnold Naimark Speaker. National Research Forum for Young Investigators in Circulatory and Respiratory Health. Prevention of Occupational Asthma. Al-Ahmad M, Manno M, Ng V, Ribeiro M, Liss GM, Tarlo SM. Symptoms after mould exposure including Stachybotrys chartarum, and comparison with darkroom disease. Allergy 2010:65; 245–255. Hoy R, Ribeiro M, Anderson J, Tarlo SM. Work-related irritant larynx syndrome. Occupational Medicine 2010; 60:546-51. Seth R, Ribeiro M, Romaschin A, Scott JA, Manno M, Scott JA, Liss GM, Tarlo SM. Occupational endotoxin exposure and a novel luminol-enhanced chemiluminescence assay of nasal lavage neutrophil activation JACI 2011;127(1):272-5. Liss GM, Buyantseva LV, Luce CE, Ribeiro M, Tarlo SM. Work-related asthma in health care in Ontario. AJIM, 2011 Apr;54(4):278-84. Mazer BD, Maier LA, Liss GM, Tarlo SM. The prevalence of chronic beryllium disease among sarcoidosis patients in Ontario, Canada. Lung. 2011 Jun;189(3):233-411. Buyantseva LV, Liss GM, Ribeiro M, Manno M, Luce CE,Tarlo SM. Reduction in Diisocyanate and Non-Diisocyanate Sensitizer-Induced Occupational Asthma in Ontario. JOEM 2011: 53;420-. Bernstein DI, Kissling GE, Khurana Hershey G, Yucesoy B, Johnson VJ, Cartier A, Gautrin D, Sastre J, Boulet LP, Malo JL, Quirce S, Tarlo SM, Langmeyer S, Luster MI, Lummus ZL. Hexamethylene diisocyanate asthma is associated with genetic polymorphisms of CD14, IL-13, and IL-4 receptor α. J Allergy Clin Immunol. 2011 Aug;128(2):418-20. Fukakusa JB, Rosenblat JD, Jang B, Ribeiro M, Kudla I, Tarlo SM. Factors influencing respirator use at work in respiratory patients Occupational Medicine 2011;61:576–582. Moscato G, Pala G, Boillat MA, Folletti I, Gerth van Wijk R, Olgiati-Des Gouttes D, Perfetti L, Quirce S, Siracusa A, Walusiak-Skorupa J, Tarlo SM. EAACI position paper: prevention of work-related respiratory allergies among pre-apprentices or apprentices and young workers. Allergy. 2011; 66(9):1164-73. Arrandale V, Liss GM, Tarlo SM, Pratt M, Sasseville D, Kudla I, Holness DL. Occupational Contact Allergens: Are They Also Associated With Occupational Asthma? Am J Ind Med. 2012 Apr;55(4):353-60.
de Groene GJ, Pal TM, Beach J, Tarlo SM, Spreeuwers D, Frings-Dresen MHW, Mattioli S, Verbeek JH. Workplace interventions for treatment of occupational asthma: a Cochrane systematic review. Occup Environ Med 2012;69:373-374. Arrandale V, Kudla I, Kraut A, Scott J, Tarlo S, Redlich C, Holness DL. Skin and Respiratory Symptoms among Workers with Suspected Work-Related Disease. Occ Med, 2012, 62;420-6.